Okay so this is probably not a solely Hungarian thing, but my American friends seemed to like the idea. Of bacon instead of s'mores. Now that we have agreed on the definition, here is the great big revelation: We cook bacon at campfires. In fact, that's pretty much the only thing we cook. The first time I was invited to a campfire in the USA and the table was covered in chocolate, marshmallows and biscuits, I had to reboot my brain. What the heck, people, where is the bacon?! 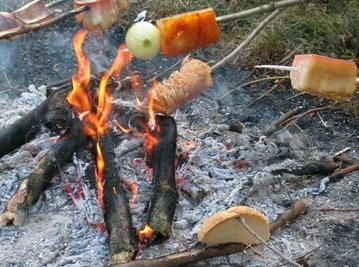 The technique is pretty much the same: you take a stick, stick the bacon to the pointy end, and hold it over the fire. The fat starts to melt and drip, which is why you need a nice big slice of bread to soak it up. It gives the bread a nice salty taste. You wait until the bacon is all dripped out and starts to turn tasty red (occasionally black, although unlike with marshmallows we try to avoid that). Once it is done, you put your slice of bacon on the bread, and ta-daa! Eat. Of course, just like with s'mores, there are additional ingredients involved. You can put onions on the stick to add flavor, and many people also sprinkle paprika on the bread. Sometimes we add pieces of sausage, or even mushrooms. 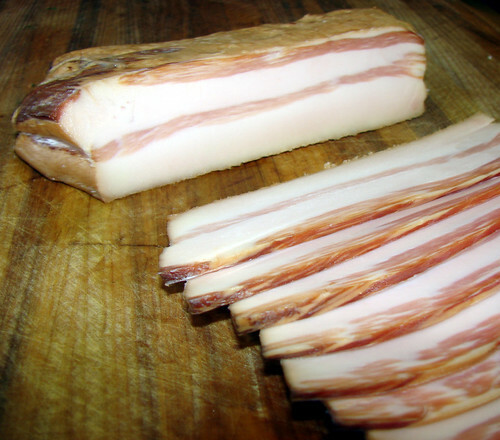 The bacon (as one of the four main food groups next to chocolate and pizza) is an integral part of the food making process. I am saying this because once upon a time when my class was instructing our foreign teacher how to do all this, he got the false impression that all we need is the dripping fat, and when the bacon was nice and toasted, he tossed it in the fire. We might have cried. There is only so much you can explain through pantomime. Rule No. 1: Keep. The bacon. Rule No. 2: Learn languages, kids. 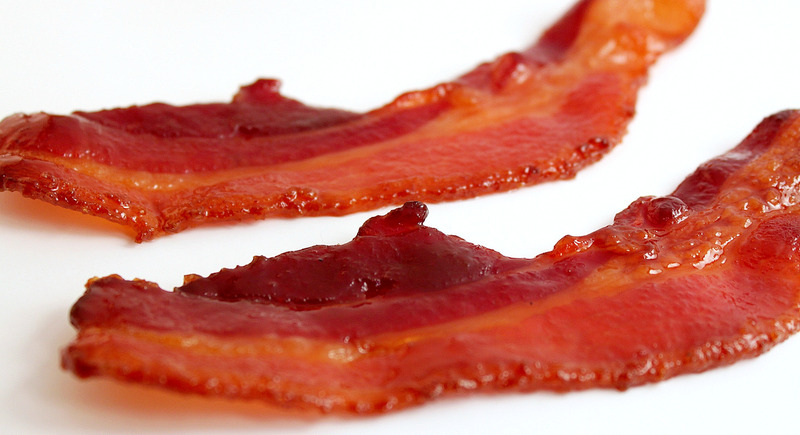 If you don't, bacon might go to waste. Hungarian health food for everybody. My daughter would love this! We'll have to try it the next time we camp. Is the bread on the stick with the bacon?